You know this thing about Ranger Rob Games? Ranger Rob Games category is one of the newest and the most interesting categories appeared on our site where you will have a lot of challenges to complete. Here we are going to surprise you every week with new challenges with your heroes from Treehouse, from the new animated television series called Ranger Rob. In Ranger Rob Games you can find 4 games that we've published for these kids and childrens that are interested to play Ranger Rob Games, this game gategory have been created on 13.02.2017. These games with Ranger Rob Games have been voted 1 times and the avarage of vote is 5.00 stars. We advice you to play the last flash game from Ranger Rob Games, Ranger Rob Coloring Book that have been published on 10.09.2017 12:00. 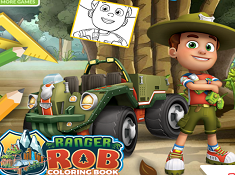 Ranger Rob Coloring Book its a part of Ranger Rob Games category and until now its played 821 times. Try it now on Cute-Games.com! If your like the Ranger Rob Coloring Book game you can write a comment in the game page. Recommend this game to your friends if you like it! 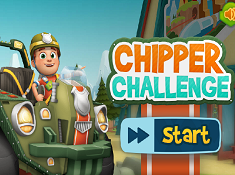 Chipper Challenge its a part of Ranger Rob Games category and until now its played 739 times. Try it now on Cute-Games.com! If your like the Chipper Challenge game you can write a comment in the game page. Recommend this game to your friends if you like it! 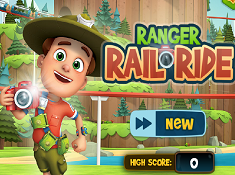 Ranger Rail Ride its a part of Ranger Rob Games category and until now its played 605 times. Try it now on Cute-Games.com! If your like the Ranger Rail Ride game you can write a comment in the game page. Recommend this game to your friends if you like it! 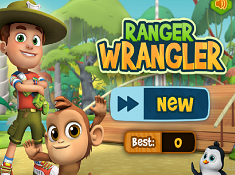 Ranger Wrangler its a part of Ranger Rob Games category and until now its played 609 times. Try it now on Cute-Games.com! If your like the Ranger Wrangler game you can write a comment in the game page. Recommend this game to your friends if you like it! Find More About Ranger Rob Games! Here I am going to present you the Ranger Rob games category. This new category is inspired from a great television series from Treehouse, called Ranger Rob. If you have not watched the series by now I am sure you will do it after you play our games. Here you can meet the characters and I am sure you will love them. The main character from the series in Ranger Rob who lives in Big Sky Park with his parents. His parents are rangers and he is a ranger in training. He loves exploring new places and learning new things about nature, plants and animals. I think you will love this new hero and you have a lot of things to learn from him. Our hero loves adventures with his friends and he wants to discover anything new about the world around him. He always want to go outside to start a new adventures, he has a lot of energy. He has some friends, loyal ones who help him in his missions. They have a lot of adventures together and I am sure you are going to have a great time with them. They are going to explore every corner of this natural outdoor park where Rob`s parents are rangers. He wants to become a great ranger like his dad but he has a lot to learn to succeed. Rob is ready anytime for a new challenge, to try something new, he has a lot of energy and great skills. He never let down his friends and he would do everything to help them. Even when he gets into trouble he does not panic, he uses his ingenuity to solve it quickly. Dakota is one of Rob`s friends and he loves going in the jungle to explore things. She is very good are surprises. She always go down on a vine to say hello to her friend Rob and he is always surprised and sometimes scared because Dakota comes from nowhere. Sam is a little boy from the park who is Rob`s number one fan. He wants to become ranger like Rob and he wants to learn all he knows. He is very enthusiastic and he wants to go in adventures with Rob. Stomber is Rob`s best friend forever and he is always with Rob. He joins Rob in all his journeys and he is there to make jokes, to make everyone have fun. Mom and Dad are like heroes for Rob and when he grows up he wants to become like them. I am sure you will enjoy our games from Ranger Rob Games category so do your best to complete your goal successfully if you want to prove how good are you. Tell us in a comment how many points you have earned in these games, if you had the chance to reach the podium where are only the best of the best and give us a like if you enjoyed the Ranger Rob Games category. In Ranger Rob Games category you have games for girls and boys, for all ages so it is impossible not to find something you like here on our site in this exciting category. To find your favorite game from Ranger Rob Games category you have to try them all. Give us a g plus if you want to help us promote the Ranger Rob Games category for all the boys and the girls who love the new animated television series from Treehouse. At the beginning most if the games are easier but that does not have to make you underestimate the difficulty of the game because the more you advance the harder the game becomes. You have to be ready for all the challenges that are waiting for you and Ranger Rob. In one game you have to help our hero go through the forest and find wood for fire. You have the chance to drive Rob`s car in this exciting game. In another game you have to help Rob rescue the animals, help them go in their nest. You will drag a path for all the animals but be careful at the enemies. In another game appeared in Ranger Rob Games category you have to take some pictures of some animals and objects from the natural park. You will travel in a train and with the mouse you will take the pictures when you see certain objects or animals. I am sure you are going to have a good time and you will do your best to finish these games successfully. If you do not like a game or you want something else you can tell us your opinion in a comment. There you can tell us also if you want some new categories on our site, the best games site in the country.